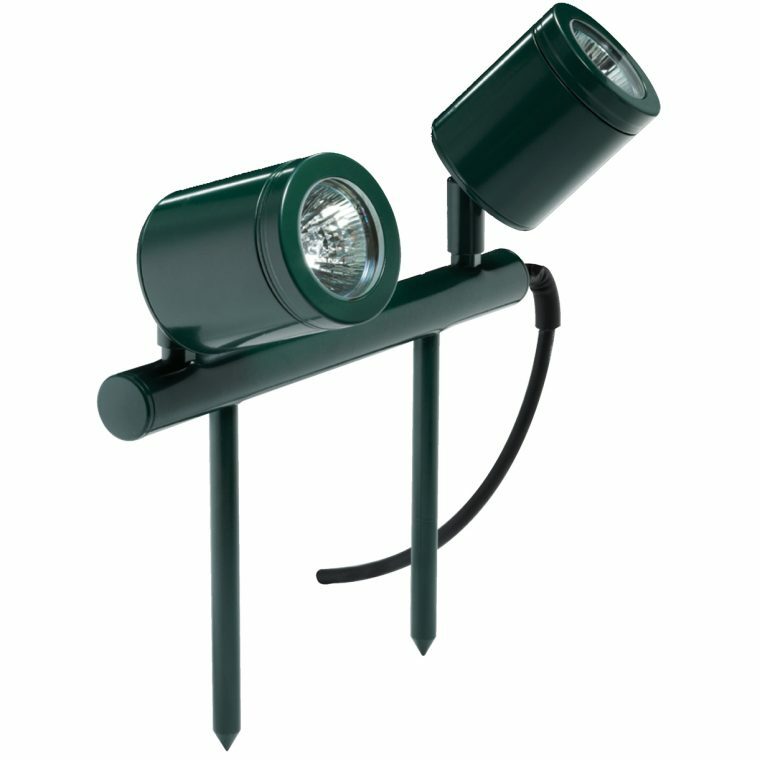 The Twin Bar Lite consists of two individual spotlights which can be aimed in two entirely different directions. Each light has fully adjustable arms allowing 360 degree rotation. The Twin Bar light can be utilised for uplighting bushes, small trees and statues, or alternatively for wall or sign illumination. A useful inclusion into any landscape lighting scheme. Machined from 10mm thick aluminium with a UV stable powder coated finish (standard colours bronze, green, matt black and silver) or solid copper or 316 stainless steel, clear tempered glass lenses with high temperature silicon gaskets. The heads are mounted on a 250mm bar with twin ground spikes. Suitable for use with MR16 – 20, 35 or 50 watt lamps, this low voltage luminaire is supplied with high quality 50 watt European 5000 hour lamps.